Born in Ottery St. Mary on October 21st, 1772, Samuel Taylor Coleridge, though more commonly known to his friends as Col or “Estese”, was the youngest of ten children to a minister, John Coleridge, and Ann Bowden Coleridge. Being quite distant from his family, Coleridge often ran away; the most crucial incident occurred when he was seven. The events of his runaway became the imagery that was incorporated into his poems, with horrific night outdoors that would later haunt him in his nightmares. One of his first poems, “Monody”, was inspired by his sister Ann. He was ill quite often, which was why he probably took laudanum, which later resulted in his opium addiction. His opium addiction grew worse when he was later separated from his wife Sara. In trying to make money to support his family and to feed his addiction, Coleridge set out to publish other works, including Poems and The Watchman in 1797, Biographia Literaria in 1817, and Aids to Reflection in 1825. All in all, his published works gave him an income of £120 per year. He and his friend, William Wordsworth, would create the Romantic Movement through their published collaboration Lyrical Ballads in 1798. However, as his opium addiction got the better of him, he began to reach a point of isolationism, where he would not see his children for periods as long as eight years. 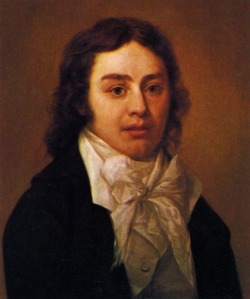 Coleridge died somewhat peaceably near London on July 25, 1834, after publishing unfinished poems such as “Christabel”, “Kubla Khan”, and “Sibylline Leaves”. The Mariner with the albatross around his neck. “The Rime of the Ancient Mariner” speaks of the story of a Mariner doomed to travel the earth, telling those he meets the fate he dealt upon himself. The poem opens with the Mariner meeting a Wedding Guest, subsequently leading to the Mariner retelling his travels to the Wedding Guest. The Mariner’s tale begins when he departed on his journey with his ship, which met with an unfortunate fate and was blown off-course to Antarctica by a storm. The crew of the ship encounters an albatross, which led the crew out of the Antarctic. However, instead of showing gratefulness, the Mariner shot the albatross, blaming it for causing the storm that blew them off-course in the first place. The bloodletting of the albatross arouses the spirits around the area, whose wrath led them to pursue the ship. The wind that led them south sent the ship into uncharted waters, where it marooned and made the ship stop in its tracks. The crew, getting angry at the Mariner, forces him to wear the albatross around his neck as punishment. As the ship traveled through an eerie passage, it encountered a ghostly vessel, where Death and the Nightmare Life-in-Death played dice for the souls of the crew. Death won the lives of the crew members while the Mariner was forced to face a fate worse than death as his punishment. One by one, the crew members die off, leaving the Mariner the only survivor. As the Mariner’s curse is slowly lifted, he began to see the sea creatures’ true beauty and blessed them, causing the albatross to fall from his neck when he managed to pray. As his guilt is partially redressed, good spirits possessed the dead bodies of the crew members and steered the ship into a whirlpool, leaving the Mariner behind with a hermit on the mainland. The tale ends the Mariner, driven by guilt, to wander the earth and tell his story to teach a lesson to those he meets as part of his penance. The Mariner then leaves and the Wedding Guest returned home, waking up the next morning a changed man. The Mariner's arrow towards the albatross. Some themes that appear in “The Rime of the Ancient Mariner” include redemption, respect for God’s creations, and guilt and justice. As part of his punishment for killing one of God’s creations, the Mariner is haunted by his guilt and must redeem himself by wandering the Earth and passing on his story to everyone he meets. Through his adventures, the Mariner is able to see the worth within every one of God’s creatures, even the lowly serpents of the sea. By unknowingly destroying one of God's most harmless creature, the Mariner must learn to redeem himself so that those following his footsteps would not repeat the same mistake. As punishment, he carries the albatross around his neck as punishment (an image that makes Christians recall the Stations of the Cross where Jesus is made to bear the cross in order to save mankind). Through his journey, the Mariner is able to respect God's creatures, even the slimy sea serpents, which are now recognized as being beautiful. His punishment allows him to see the true beauty underneath the surface, and teaches him beauty comes from within. 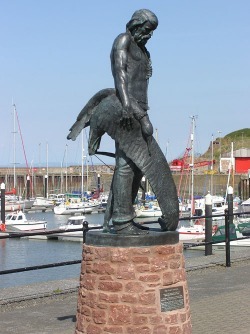 Justice prevails when the Mariner's guilt consumes him and takes on the form of the albatross around his neck. If not for redemption, this guilt would eventually corrupt his whole being and the Mariner would never be able to face his Creator. Oftentimes, science becomes an albatross on the scientists, with its many setbacks and unexpected disastrous outcomes. At times, even the profit the scientists make off of their works become a burden on both their conscience and their physical body. Within Shelley’s Frankenstein, the reader can see that the monster Frankenstein created in hopes of success and fame became his albatross, a burden in which he must carry to his graves as he relives the savage deaths of the people close to him in his final moments. In the same way, Moreau’s puma in Wells’ The Island of Dr. Moreau, along with Marlowe’s Dr. Faustus’ hidden knowledge that was bestowed upon Faustus, Matt in Farmer’s The House of the Scorpion, and Mr. Hyde in Stevenson’s The Strange Case of Dr. Jekyll and Mr. Hyde, act as the albatross to their creators, resulting in the creators’ inevitable death. Unable to escape the burden of their experiments, the creators must die in order to relieve themselves of the guilt that would eventually crush their mentality.